A committee is evaluating the aging Gorham High School that officials say is cramped and outdated for education in this new century. The Gorham High School Building Committee recently has reviewed plans shelved a few years ago to renovate and expand the school, but is now taking a fresh look at problems and existing space crunch. The school sits on a 23-acre site. “We are landlocked,” Christopher Record, assistant superintendent and former high school principal, said in a School Committee workshop meeting last week. This week, Record cited “increasing and improving classroom space (to better enable 21st-century teaching and learning)” as one of the high school’s most critical needs. Options to modernize the school and athletic fields include building a school at a new site. Other possibilities on the table are for more portable classrooms, adding a separate building on site plus relocating athletic fields off site, or even constructing a stadium, a proposal voters resoundly rejected several years ago. Gorham property taxpayers could face voting in a referendum whether to fund a high school building project without benefit of state help. The high school opened in September 1959 and was renovated in 1994. Superintendent Heather Perry said this week that the high school was designed for 750 students. 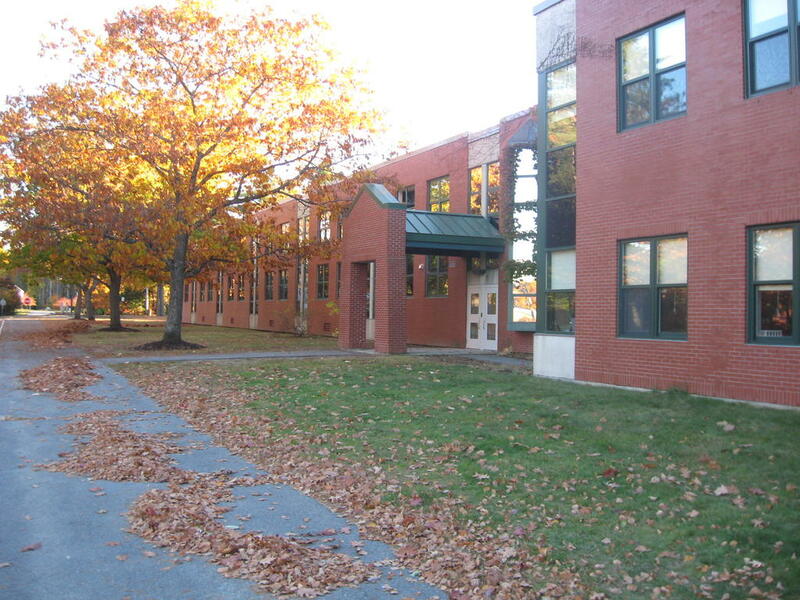 Darryl Wright, School Committee chairman, said the school enrollment on Oct. 20 was 840, down from 849 on Sept. 1 and down from 852 Sept. 1 last year. According to an American Journal article in September 2010, enrollment was then 879. An unanswered question is the size of a high school to meet future student numbers in the growing town. “Our elementary enrollment numbers are showing pretty significant increases that will move their way through our system over time,” Perry said. Record this week cited numerous deficiencies at the high school. Critical needs, Record said, include expansion and improvement of classroom space; enlarging the cafeteria; relocating the main office to the northerly end of the building for security purposes; fixing an outdated nurse’s clinic and athletic locker rooms; and a resolving a parking shortage. Suzanne Phillips, a member of both the school and building committees, said this week the building committee at the end of November would visit Biddeford High School. “It was recently renovated using local funds,” Phillips said. The former Gorham High School Exploratory Committee had an architectural design in 2010 that would have eliminated overcrowding at Gorham High School. But the project appeared to have been placed on hold while Gorham was seeking voter approval for a Public Safety Building project. The cost of the high school renovation-expansion plans six years ago initially was pegged at $11 million. It would have eliminated four classrooms housed in portables, increased parking, expanded the cafeteria and updated athletic facilities. Now, besides the building committee, the Athletic Capital Campaign Committee is looking at goals for the school’s athletic program. “We’re looking at addressing athletic fields in a unique way,” Perry said in last week’s workshop. Problems, Perry said, are a grass field at the high school that sees a lot of use; the outdoor track needs resurfacing; tennis courts need repair; field lights are mounted on wooden poles; and a shortage of athletic equipment storage. Some brainstorming ideas, Perry said, include upgrading lights, installing turf on fields, purchase off-site property for fields or for a stadium. The committee will seek direction from the Town Council. Timothy Burns, a School Committee member, last week asked about potental collaboration with the University of Southern Maine, which is planning an international high school for its Gorham campus. Perry said she had scheduled a meeting with Al Bean, athletic director at the university. The building committee also plans to visit high schools in South Portland and Kennebunk.The high school’s building and athletic committees will meet jointly on Tuesday, Dec. 13. Twilight Monday begins settling over aging Gorham High School. School Department committees are weighing future of the building that opened 57 years ago. In a sign of the times, granite posts Monday do not hold the Gorham High School sign.